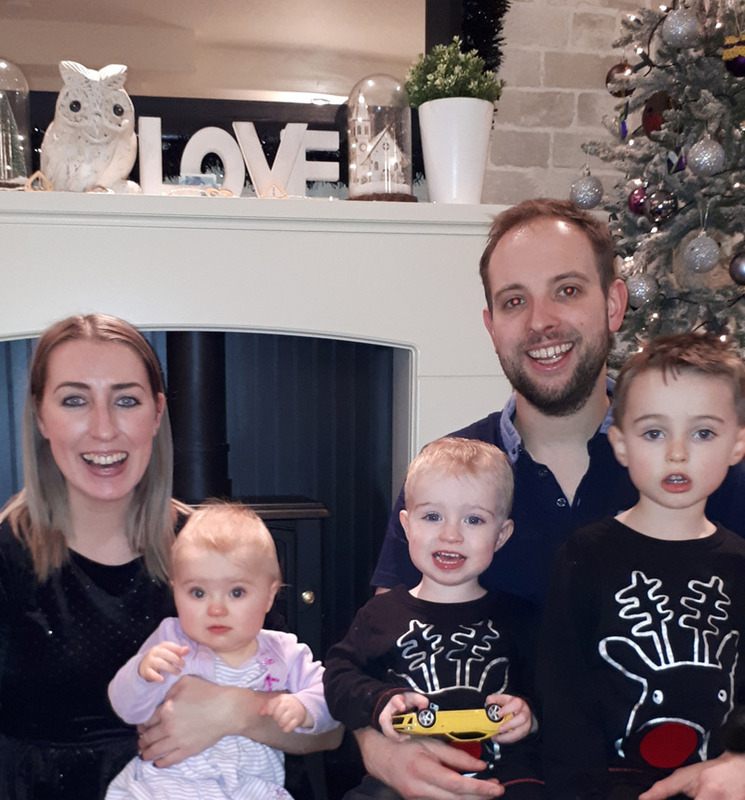 Kelly and Ed Lambe welcomed all of their children Freddie, 3, Archie, 2, and Rosie, 1, into the world through successful IVF treatments at Jessop Fertility in Sheffield with the help of the Unit's first timelapse incubator. Kelly, who is from Durham, said: "In 2014, we had been trying for a baby for five years and decided to have investigations to see why it wasn't working for us. Tests showed that I had very low Anti-Mullerian Hormone levels which can make both trying for a baby naturally and with IVF less likely to be successful. I was referred to Jessop Fertility for specialist treatment where had Intrauterine insemination (IUI) treatment and then IVF. As part of our care, our embryos went into a timelapse incubator which took photographs every few minutes which enabled the specialists at Jessop Fertility to monitor their development without having to move or disturb them." Rachel Cutting, Principal Embryologist at Jessop Fertility which is part of Sheffield Teaching Hospital NHS Foundation Trust, explains how the embryoscope technology works: "The incubators have inbuilt cameras which take pictures of the embryo every ten minutes. This enables our embryologists to see how the embryos develop in great detail through the full course of their development without having to move them out of the safe environment of the incubator. In normal IVF incubators the embryologist would have to remove the embryos everyday to examine it, this removes the embryos from there optimal environment (body temperature)." "Using information gained from our laboratory we have carried out research to understand how good quality embryos develop and we can now score embryos with advanced software. Embryos having a 'high score' have a higher chance of implanting and using this score alongside the grade of the embryo enables us to select the most suitable embryos for transfer into the womb and/or freezing." Time-lapse helped to select the best of Kelly and Ed's embryos and in 2015, the couple were over the moon to discover that Kelly was finally pregnant with their first son Freddie. "We returned to Jessop Fertility to have more IVF treatment," Kelly said. "This time we only had two good quality embryos to pin our hopes on. We were lucky enough to use the embryoscope, which helped us to welcome our second child, Archie in January 2017. Later that year we decided to come back to try for baby number three. This time we had just one good embryo. The amazing team provided the same treatment, again using the embroscope incubator, and against the odds and I gave birth to Rosie in April 2018." "It was truly amazing to hold my children for the first time, it was something I didn't think would happen so I was so happy once I finally got to do it. Every time I found out I was pregnant I was absolutely ecstatic." "My care at Jessop Fertility was brilliant," Kelly added. "I used to love going in and speaking to the nurses as they were incredibly supportive and they really helped me through the whole process. Their support made everything much easier and made us feel extremely comfortable in a situation where I thought I would be uncomfortable. My advice to anyone trying to conceive is to never give up, it only takes one egg." Rachel Cutting added: "We are looking forward to welcoming many more babies in 2019! This technology really makes a difference and our patients are not charged any extra for using it."